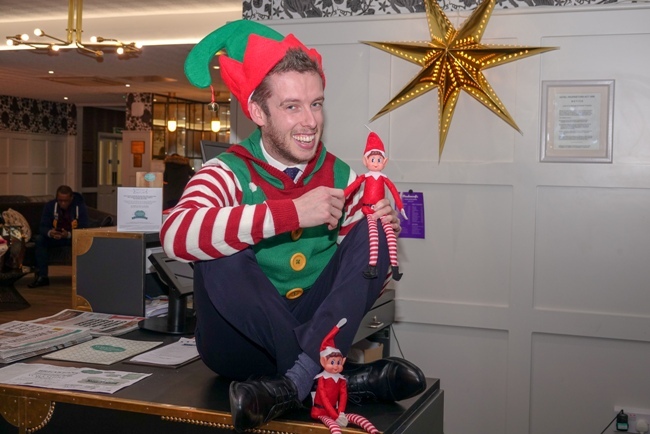 DoubleTree by Hilton York is getting into the charitable Christmas spirit by hosting an “Elf Day” in support of the Alzheimer’s Society. Today’s event will see DoubleTree staff dressing in red and green and builds upon the “light bites” afternoon tea which raised just short of £300. In addition to donning festive fancy dress, Elf Day will also see donation buckets dotted around the hotel in the hope that customers will support the event. All funds raised will be going directly to the Alzheimer’s Society and help towards supporting people with dementia and their families. DoubleTree by Hilton York Sales Executive Dan Edwards – whose 90 year old grandmother has dementia – said: “This event has been coordinated by our CARE committee, which is here to ‘create a rewarding experience ‘ within our local community. “From a personal point of view, I am very pleased that we are holding events to raise funds for the Alzheimer’s Society. My grandmother, Joyce, has lived with dementia for many years, and thanks to charities like the Alzheimer’s Society, is living well.